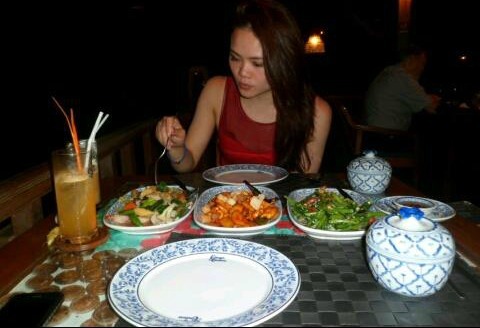 Pattaya offers an abundance of International and of course original Thai food Restaurants. 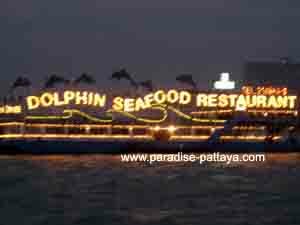 The Dolphin Seafood restaurant - floating Restaurant - is located in Pattaya bay and has to be accessed from the nearby pier by speedboat. That is a wonderful way of starting the evening off. On Board ship is a small dancefloor and music is being played as well while you eat. Food is being served a la carte or buffet style. It's a good place for a date too! Whether you are an original Thai food lover or not there are so many different cuisines that it is very easy to satisfy any culinary desire you may have. Excellent Thai food is just about everywhere in Thailand. From street vendors to five star gourmet dining - you'll find it in Pattaya. Pic Kitchen is located in Soi 4. 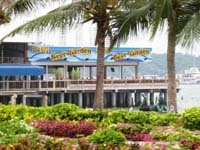 Pic has great service, excellent food and a superb ambiance. Pic Kitchen has won several food awards. This restaurant offers traditional Thai style seating upstairs where customers sit on the floor in an open air wooden house. The conventional air-con area with tables and chairs is located downstairs. The jazz pit sometimes has soft live music and is adjacent to the restaurant. Great for a cocktail before your meal is being served. Cucumber is an attractive Restaurant that serves Western and original Thai food. It also has comfortable indoor and outdoor seating. A great ambiance combined with a fantastic view of South Pattaya Road. 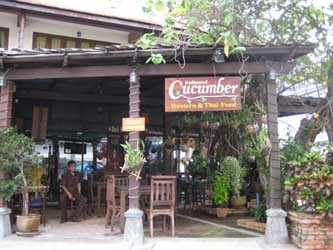 Cucumber is located on the north side of South Pattaya Road. Mum Aroi has two locations in Pattaya. Click on the link above for images and directions. Mum Aroi means delicious corner. 3rd Road close to the big Jonny Walker place-behind Hollywood Disco. Right there on the corner you will find Mum Aroi. At the end of Naklua Road -North Pattaya-. This one is right on the beach with a great view and it is a very beautiful place. It's an open air beach front restaurant with a lovely ambience. This is where the locals come to enjoy a night of yummy food. This restaurant offers all day dining and overlooks the Swimming pool and the sea. The modern Thai style restaurant with wooden decoration features a buffet with live cooking stations. International cuisine is offered here as well. It is expensive but it is a true 5-star Restaurant. This Restaurant is located in Jomtien. The owner of the hotel is Khun Meechai who was a member of Parliament. He led a large campaign for the use of condoms in Thailand. 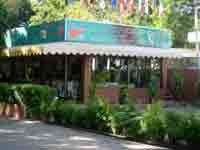 They have a beautiful natural setting with a sub-tropical rain forest with peacocks and rabbits. The setting is beautiful, the food is great and the service is superb! "How about authentic South East Asian Food?" I recommend checking out the 'Vientianne Restaurant'. It's a large place where you have the option to sit in the open air or in the smaller Aircon dining room above. The prices are moderate. 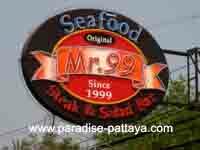 Do you have a favorite restaurant in Pattaya?